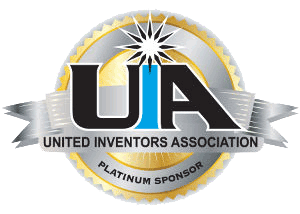 We are a Platinum Sponsor to one of the most influential groups for inventors in North America – United Inventors Association. Our network of patent searchers, graphic artists and technical writers are experienced in emphasizing the benefits and appeals of your new idea. They will also make suggestions to help you improve your initial design. At your discretion, you may choose to work with a referred Patent Attorney who will provide legal patent assistance. United Patent Research, LTD will include your idea at trade shows and exhibitions all over the world. Experienced sales personnel will present your idea to manufacturers, and will refer interested parties to our Licensing Affiliate – Universal Licensing, LLC. Some of the trade shows we will be attending this year can be found here. Our Licensing Affiliate Universal Licensing, LLC will assist you through the difficult maze of negotiating a licensing agreement for royalties from manufacturers, and distributors. Some of UPR’s patented (or patent pending) clients can be found on Universal Licensing’s website, here. Our licensing affiliate works with UPR’s clients strictly on a 20% contingency basis. Requiring no upfront fees from the inventor. We take great pride in the number of happy customers that United Patent Research has acquired. We have helped a number of clients navigate the confusing USPTO rules, and many of our clients either have patents, or are patent pending. Read more about our happy customers here.